This month’s free template is one you might not have come across before but it’s one of the most useful spreadsheet tabs I have. It’s a project communication plan template, but it focuses on the summary milestones to hit during the project life cycle. It’s not pages and pages of your approach to a project communications strategy. It’s a one-page, every comms event on a single screen, type planner. If you like lists and love keeping things organised on a planner, this will work really well for you. The one you’ll download (enter your email at the end of this article) has some lines in as a sample communications plan, but take those out once you see how it works and put your own events in. Pieces for the intranet, or a reminder to update your project intranet/social network page. 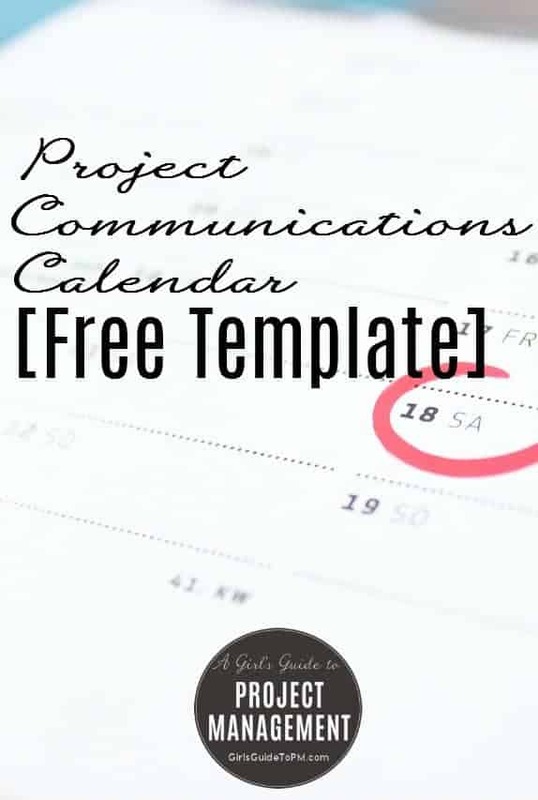 I’ll send you the Project Communications Calendar Template when you enter your email address below. Through the magic of the internet, you will receive an email with access to my free Resource Library and access to all of my templates, so sign up right away. Remember to delete my notes so it looks like it’s something you’ve spent hours working on yourself! As with all my free project management templates, please don’t sell it on: that’s the only constraint. Don’t need this template? Check out my other free project management templates. Would really like to see your templates! Thanks! This looks like a really helpful template. Thanks for sharing! Hi Elizabeth, I would love to give your Project Communications Calendar Template a try, thank you!